* Immediate refund of accumulated Input Tax credit. * Refund of IGST on capital goods. * Removal of Double Taxation on ocean freight. * Increase of Effective Rates of Customs Duty on import on MMF, MMF Yarns and all knitted fabrics covered under chapter 60. * Merchandise Exports from India Scheme (MEIS) to be extended to all the MMF textile products @ 5%. * Interest Equalisation Scheme (IES) benefits to be extended for MMF yarns and Merchant exporters. * Increase DBK rates on MMF textile items. * Extend Rebate of State Levies (ROSL) Scheme benefits to Yarns and Fabrics. 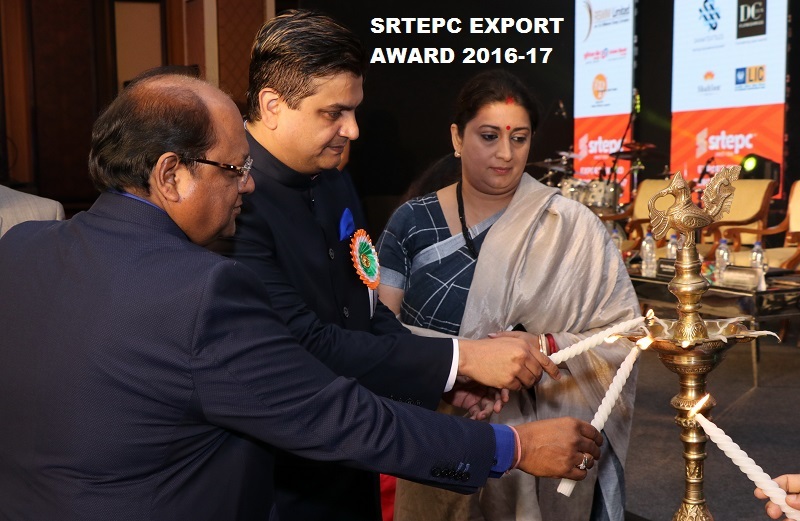 SRTEPC Chief informed the Secretary Textiles that the Textile Ministry has been always supportive and consistently giving handholding guidance towards the MMF textile segment including intervening to ease out the difficulties being faced by the exporters after implementation of the GST regime in the country. However, there are certain major anomalies being faced by the MMF textile exporters under GST refund mechanism which need to be addressed on a priority basis, Mr. Aggarwal reiterated. Struggling to cope with increasing imports, synthetic textile manufacturers bet big on rupee depreciation for a turnaround in their fortunes post the September quarter.Data compiled by the Directorate General of Commercial Intelligence and Statistics (DGCI&S) under the Ministry of Commerce, showed a dramatic 47 per cent increase in the import of readymade garments (RMG) out of manmade fibre to $78.46 million for the period between April and July this year from $53.52 million reported in the same period last year. Import of man-made staple fibre, yarn, fabrics and made-ups, however, jumped by 26 per cent to $896.35 million for the four months period ending July 2018 compared to $591.62 million in the same period last year.After stabilizing at around 63.9 against the dollar towards the end of calendar 2017, the rupee started sliding gradually to hit 65.2 by the end of March 2018. The Indian currency, however, slipped steeply further to trade currently at 71.8 against the greenback. So, synthetic textile manufacturers are hoping the industry to see a turnaround in coming quarters as imports of readymade garments are likely to slow on rupee depreciation.“Rupee has seen a sharp depreciation so far this calendar year. Most of its fall was seen since April. While increasing crude oil prices have made the input of synthetic textiles costlier which we have been able to pass on to consumers so far, rupee depreciation will certainly make import price worthy and export profitable. 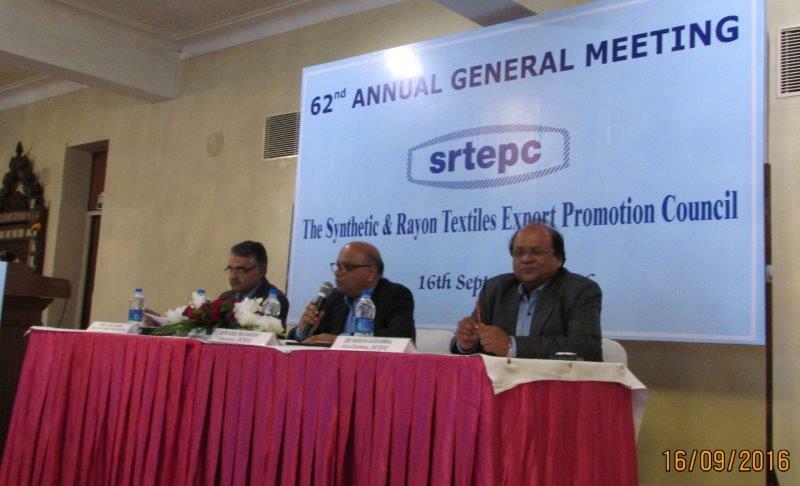 We see the industry to a turnaround in December quarter, if not in September quarter,” said Om Prakash Lohia, Chairman and Managing Director, Indo Rama Synthetics (India) Ltd, India’s largest polyester manufacturer. On a turnover of Rs 3.56 billion, Indo Rama Synthetics recorded a net loss of Rs 292 million for the quarter ended June 2018 as against Rs 6.52 billion of turnover and Rs 155.7 million of net loss reported in the same period last year.In a major relief for domestic synthetic textiles producers, the rupee has depreciated over 11 per cent so far this calendar year to trade currently at 71.8 against the dollar today from the level of 63.9 towards the end of last calendar year. A majority of this rupee fall was seen post-April. Experts, however, believe that the export orders booked after April will start getting executed now. Hence, its impact would be seen partly in the September quarter and fully in the December quarter. 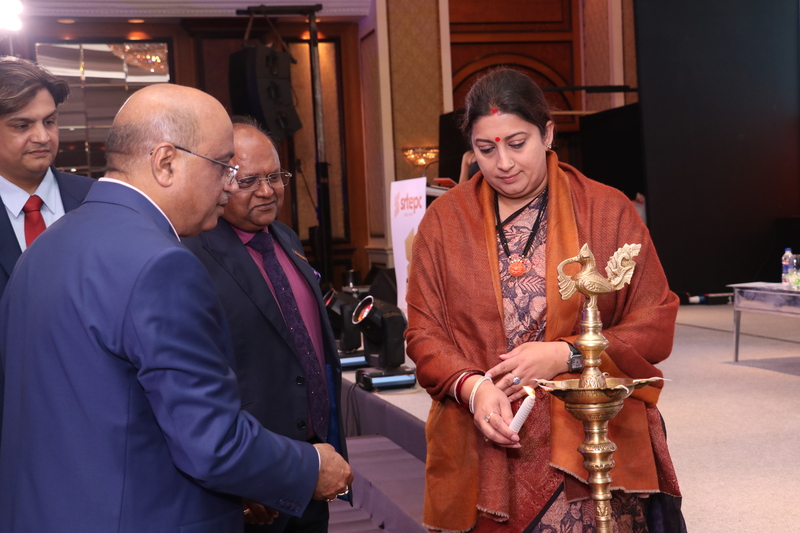 Thus, India’s export of synthetic textiles is set to revive in the September quarter.“This substantial growth in imports of man-made staple fibre (MMF) and MMF-based textiles into India needs urgent government attention with remedial and protectionist measures. 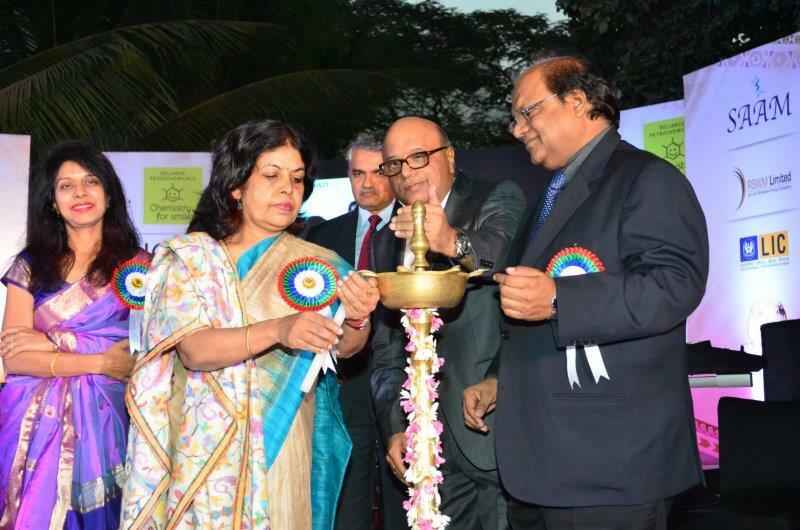 The government should immediately double basic customs duty on MMF, MMF yarns such as polyester, viscose and others to 10 per cent from the existing 5 per cent; and nylon fibres and yarns to 15 per cent from the existing 7.5 per cent,” said Sri Narain Aggarwal, Chairman, The Synthetic and Rayon Textiles Export Promotion Council ( SRTEPC).Aggarwal hoped for a better export trend in the coming quarters in synthetic textiles segment with active support from the government. However, the government needs to suitably address the current goods and services tax (GST) and other hitches such as refund of input tax credit, refund of GST/IGST on capital goods, refund of embedded taxes from the state as well as the Centre.India’s exports of synthetic textiles and raw materials have declined in some categories while others remained flat during April – July 2018 period. Suresh Prabhu also said that the ministry is looking at ways to increase exports of auto components. The proposed new industrial policy, to be released soon, would help link domestic industry with the global supply chain, Commerce and Industry Minister Suresh Prabhu Wednesday said. He said that the auto component industry has successfully used this linkage to promote the sector's growth. "We are coming out soon with the new industrial policy. We are giving final touches to it. It has many components. One key element is how do you link industry with global supply chains," he said here. The new policy will replace the industrial policy of 1991, which was prepared in the backdrop of balance of payment crisis. The proposed policy aims at promoting emerging sectors and modernising the existing industries. It will also look to reduce regulatory hurdles and encourage adoption of frontier technologies such as robotics and artificial intelligence. The ministry in August last year had floated a draft industrial policy with an aim to create jobs for the next two decades, promote foreign technology transfer and attract USD 100 billion foreign direct investment (FDI) annually. Prabhu also said that the ministry is looking at ways to increase exports of auto components. Further, he added that to deal with the hurdles of logistics related issues, the ministry is preparing a plan. The India will become USD 5 trillion economy in the coming years, and USD 1 trillion would come from manufacturing, he said, urging the auto industry to participate in this growth. NEW DELHI: India has mooted stricter rules of origin in the Regional Comprehensive Economic Partnership (RCEP) trade agreement to prevent Chinese goods from indirectly flooding the country. Rules of origin are the criteria needed to determine the source country of a product, based on which they get tariff concessions or are subjected to duties. India has said the last country from which a product is exported should do the highest value addition with the help of indigenous inputs. “We have to prevent any abuse of deviations, so the last country from which a product is exported as a finished product should attain maximum value addition,” said a commerce department official. Globally, the average threshold on domestic content is 40-60% for getting originating status to a product. The need for strict rules of origin comes in the wake of India having a trade deficit with as many as 10 member countries of the RCEP, including China, South Korea and Australia and which has increased in 2017-18 with seven countries. RCEP is a proposed comprehensive regional economic integration agreement amongst the 10-Asean countries and its six free-trade agreement partners—Australia, New Zealand, Japan, China, Korea and India. The grouping comprises 45% of the world’s population with a combined GDP of about $21 trillion. The RCEP negotiations were launched in November 2012 and the first round of negotiations was held in 2013. However, trade experts have said that stricter rules of origin with China may not benefit as Beijing circumvents its exports through India’s other neighbours. “We need origin norms with Bangladesh because China circumvents its textiles from there. In such a case, stricter rules of origin with China will be of no help to us,” said Biswajit Dhar, professor at JNU. NEW DELHI: Finance Minister Arun Jaitley Wednesday attributed the fall in rupee to global factors and said there was no need for panic or knee-jerk reactions. He further said the Reserve Bank is doing whatever is necessary to deal with the situation. The rupee's unabated fall continued for the sixth straight session Wednesday as it hit yet another closing low of 71.75 against the US dollar, tumbling 17 paise. The battered rupee has lost 165 paise in the last six trading sessions. "If you look at the domestic economic situation and the global situation, there are virtually no domestic reasons which are attributable to this. The reasons are global. "I don't think there is any need for the world's fastest growing economy to come out with panic and knee-jerk reactions," he said while replying to questions regarding the fall in rupee. Jaitley further said the dollar has strengthened against almost every other currency and added that the rupee has consistently either strengthened or remained in a range. "It has not weakened...the rupee is better-off," he said, adding that the rupee has strengthened against other currencies like the British Pound and the Euro. The minister further said the government has consistently maintained 4 per cent inflation during the last four years. Elaborating his point on global factors affecting the rupee, he said India is a net buyer of crude oil and spike in prices affects the country. "That's an external factor. We are not in a trade war business but when countries neighbouring us devalue their currencies, that has a corresponding impact on us. Turkey had some impact on us," he said. The minister further said eventually the inherent strength of the Indian economy has to play a very important role and expressed confidence that fluctuation in the currency market will come down. "I am sure that the currency management in these areas are done by the Reserve Bank of India and they are certainly doing whatever is necessary for this purpose," he added. Meanwhile, crude prices Wednesday extended their losses, sliding towards USD 77 a barrel. NEW DELHI: The rupee breached the crucial 72 to the dollar mark on Thursday, extending losses as a rout in emerging markets kept investors on edge. The domestic currency was quoted 37 paise lower at 72.12 against the US dollar in afternoon trade. Earlier in the day, the currency had gained 9 paise to 71.66 against the US dollar on fresh selling of the US currency by exporters and banks. This was after rupee hit a low of 71.97 on Wednesday, before finishing at a closing low of 71.75. Investors remained concerned over sustained foreign capital outflows and widening current account deficit in the wake of soaring crude oil prices. Forex dealers said besides strong demand for the American currency from importers, concerns of fears of rising fiscal deficit and capital outflows mainly weighed on the domestic currency. Moreover, weakness in emerging currencies overseas against the dollar too weighed on the domestic currency, they added. Meanwhile, international Brent crude futures fell 27 cents, or 0.4 per cent, to $77 per barrel. A fall in crude prices is seen as positive for India, which imports most of its oil requirements, traders said. Finance minister Arun Jaitley Wednesday attributed the fall in rupee to global factors and stressed that the domestic unit was better off as compared to other currencies. The Reserve Bank of India (RBI) was not spotted intervening after the rupee pierced the 72 level, two dealers said. It had been suspected of selling dollars earlier in the day. "There is a panic now, especially among those who are unhedged," said a forex official at a state-run bank. The rupee has fallen nearly 2 per cent this month and more than 12 per cent this year. Mumbai : The seven-nation regional bloc Bay of Bengal Initiative for Multi-Sectoral (BIMSTEC) will finalise agreements on goods trade and customs cooperation, as part of the proposed FTA, by 2019. “India recently provided new inputs on product specific rules (PSR), paving the way to resumption of negotiations on the trade in goods, which were stalled in 2015. Also, considerable progress has been made to finalise the text of the customs cooperation agreement. I am optimistic that we will be able to sign both the agreements within 2019,” M Shahidul Islam, Secretary- General of BIMSTEC, said in Mumbai. 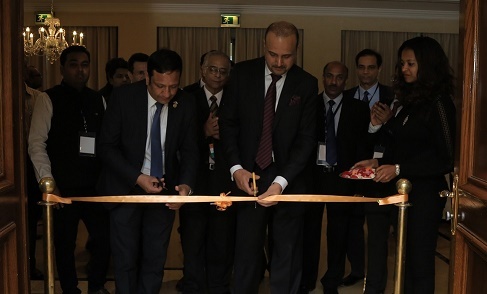 Islam was addressing a seminar on ‘Unlocking BIMSTEC potential: Trade, investment and connectivity’, organised by the World Trade Centre, Mumbai. BIMSTEC includes Nepal, Bhutan, India, Bangladesh, Myanmar, Thailand and Sri Lanka. Myanmar and Thailand are members of ASEAN and the rest are part of SAARC. BIMSTEC is also negotiating agreements on dispute settlement mechanism, trade in services, investment and trade facilitation. While the negotiation for dispute settlement mechanism has reached an advanced stage, discussions on the others are in early stages. Though BIMSTEC was formed in 1997, it was dormant till 2016 when the leaders started promoting it. The initiative got a fresh boost at the Kathmandu summit in August with Prime Minister Modi making a strong pitch for the block. India is a major engine behind the resurrection of BIMSTEC, especially on connectivity issues including physical, digital and people-to-people, and is investing heavily in the area. An MoU was recently signed to link Kathmandu with Raxaul by rail. 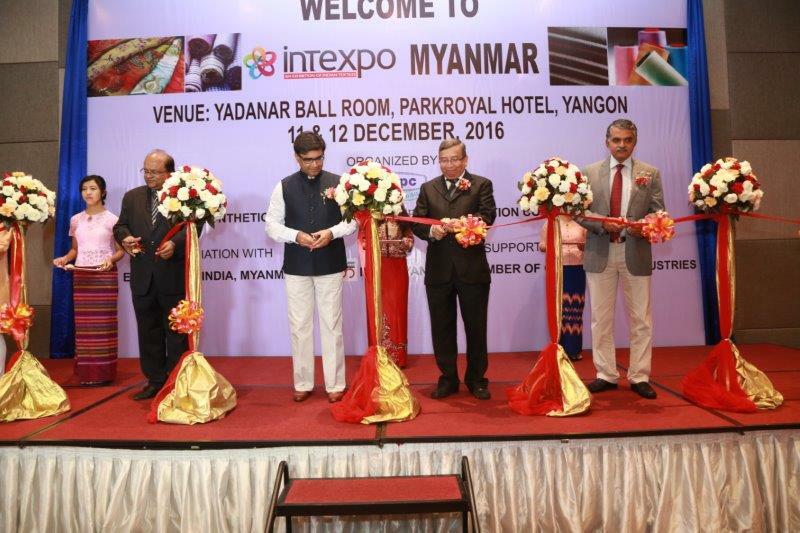 Close to nine cross border rail projects, a number of road and inland river water connectivity projects are on with Bangladesh and construction of Trilateral Highway and Kaladan road project have been initiated in Myanmar. The BIMSTEC leaders reiterated their resolve to ensure seamless multi-modal transport and simplified transit facilities and directed the authorities to speed up efforts to conclude the coastal shipping and motor vehicles agreements “as early as possible”, Islam said adding the second round of discussions on both the agreements will begin soon. This correspondent, who was a panellist at the meeting, pointed out that entering into a motor-vehicles agreement may not be an easy task as Thai truckers have been resisting seamless movement for long. Resistance from Bhutan on environmental grounds has already stalled implementation of similar agreement between the BBIN (Bhutan, Bangladesh, India and Nepal) sub-group. Suresh Kumar RM, Joint Director-General, Directorate General of Shipping, said coastal shipping can make cargo movement between ports in India, Bangladesh, Myanmar, Thailand and Sri Lanka cheaper than the prevailing sea movement. Among the countries, only India and Bangladesh now have a coastal shipping agreement in place. If BIMSTEC agreement comes along, a Thai or Bangladeshi ship can move upto Colombo along hugging the coast. With the recent relaxation in cabotage by India, the viability of coastal shipping will increase. In view of resources dwindling fast and natural fibres like cotton being resource-intensive to process and petroleum-based fibres like acrylic, polyester, nylon and spandex not being the most environmentally friendly, it is about time to look for sustainable alternatives when producing fibres and fabrics. In this series, FashionUnited explores the sustainable alternatives and textile innovations that are currently being pursued all over the world. Philadelphia-based company Tandem Repeat headed by CEO Gözde Şenel-Ayaz and COO Dennis Werger, found self-healing characteristics in squid genes. In an eco-friendly and low-cost process, thermoplastic fibres are extracted, which are made into a fabric that is biodegradable and 100 percent recyclable. The material also acts as a glue, meaning it minimises the shredding of microfibres in the wash, thus reducing plastic pollution in the oceans. Self-healing fibres allow for products with longer life cycles “Our material production is energy efficient (at least half of the energy cost compared to synthetic fibers). It is an excellent alternative to synthetic fibers including but not limited to spandex (elastane). Besides, our fibers are the only fabric that has the ability of self-healing. Various natural or synthetic yarn (polyester and nylon) becomes self-healing and repairing with our coating, and preserves fiber integrity under high wear and tear conditions. This allows creating products with longer life-cycles and minimizes environmental pollution,” explains Tandem Repeat. The way it works is that Tandem Repeat isolates genes from squids that have the ability to synthesise self-healing fibres. Production is performed via industrial biofermentation and the resulting thermoplastic fibers and coatings that are available in powder, polymer and liquid forms, are biodegradable, 100 percent recyclable, up to 400 percent stretchable and with 50 MJ/m3 ultimate toughness. Fabrics created out of these fibres are the only ones that have the ability to self-heal, thus creating products with longer life-cycles and minimised environmental pollution. As one can imagine, there are many areas of application and Tandem Repeat provides green fibres and coatings to the medical, industrial and textile industries, for example for wound care and catheters, food packaging, water filtration and cosmetics as well as synthetic leather, military nylon replacement and high performance, self-healing fabrics. No wonder then that Tandem Repeat’s contribution to a sustainable future for textiles has been honoured various times: The company was selected as one of ten startups competing for the 3rd Annual Green & Bio-Based Chemistry Technology Showcase & Networking Event, which took place on May 8th, 2018 at the GC3 Innovators Roundtable at Eastman Chemical, Kingsport, TN. Tandem Repeat was also selected as the Early Bird Winner of 2018 for the Global Change Award, meaning the best entry from the pool of entries submitted in the first half of the application period. The Early Bird winner does not receive a grant, but gets the opportunity to attend one of the Innovation Accelerator weeks. Tandem Repeat is also one of seven finalists of the Tommy Hilfiger Social Innovation Challenge, a global initiative that aims to support entrepreneurial start-up and scale-up stage businesses that are developing solutions that have a positive social impact on the fashion value chain. Winners, which will be announced in January 2019, will receive a year-long mentorship with Tommy Hilfiger’s internal experts globally, in addition to winning a grant of up to 100,000 euros as well as a place on the INSEAD Social Entrepreneurship Program (ISEP). Last but not least, those wondering about the start-up’s name - “tandem repeats” refer to the occurence of a repeated pattern of one or more nucleotides in DNA and the repetitions are directly adjacent to each other. 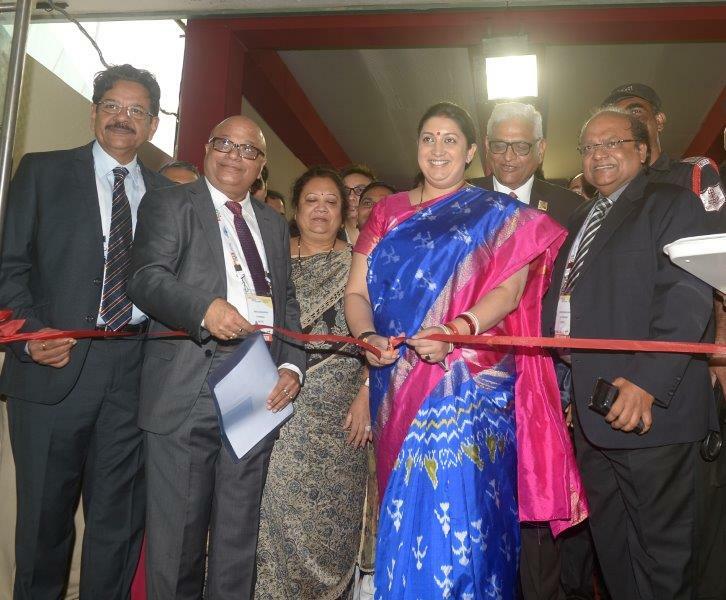 Coimbatore: Apparel exports are finally turning a corner. With the rupee depreciating sharply against the dollar, apparel exports, which fell 14% yearon-year (y-o-y) in the first four months of 2018-19 (FY19), have slipped by only 1% in US dollar terms in July. Incidentally, apparel exports grew by 6% y-o-y in rupee terms during the same month. Ratings agency ICRA expects India’s apparel exports to grow at a modest pace of 1%-2% for the rest of the 2019 fiscal. Though India’s apparel exports are likely to remain subdued in the near-term, the worst appears to be over, the agency said. With faster GST (Goods and Services Tax) refunds, improved clarity on the rate of export incentives and the sharp rupee depreciation — witnessed over the past few months — most of the industry’s concerns have been addressed to a large extent. “The fall in the rupee is helping apparel exports and the downslide has been arrested,” said Sanjay Jain, chairman, Confederation of Indian Textile Industry (CITI). “Government policies are more tuned towards aiding the apparel sector. We expect a 5%-7% growth in apparel exports in the current fiscal,” he said. “The depreciation in the currency (rupee) has supported the recovery (in exports),” said Raja M Shanmugham, president, Tirupur Exporters’ Association. The rupee depreciated 5% between April and July this year and by over 9% so far in 2018. “The signs are quite positive. The trade war between the US and China would also help in growing our exports,” he said. “From the start of this year, apparel exports have been slowing down mainly due to tough competition from other Asian countries like Vietnam and Bangladesh owing to China’s loss of export market share, liquidity challenges, currency fluctuations and uncertainty in policy changes,” said Pushkar Mukewar, co-founder and co-CEO, Drip Capital. “With several internal as well as external headwinds, the past year turned out to be rather challenging for India’s apparel exporters. Transition to the new taxation regime, besides posing liquidity challenges for the industry, added to uncertainties because of alternating stances on export incentives during the year,” said Jayanta Roy, senior vice president and group head, ICRA. 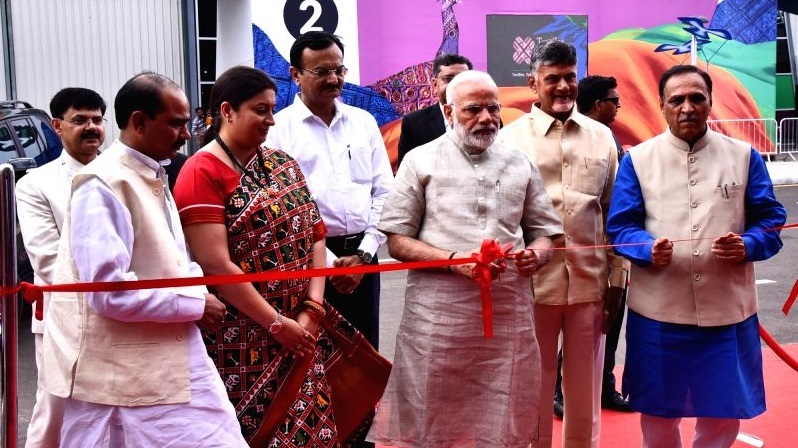 “Going forward, steps taken by the government to address these concerns, will remain crucial for apparel exporters to capitalise on the revived global apparel trade as well as the continuing loss of market share by China, which opens up a lucrative opportunity for key players such as India, Vietnam and Bangladesh,” he said. Note: The above prices are Chinese Price (1 CNY = 0.14629 USD dtd. 6/9/2018). The prices given above are as quoted from Global Textiles.com. SRTEPC is not responsible for the correctness of the same. The Textile, Garments & Tailoring Senior Staff Association of Nigeria (TGTSSAN) has appealed to the Federal Government to reduce the exchange rate, particularly for the the textile sector. 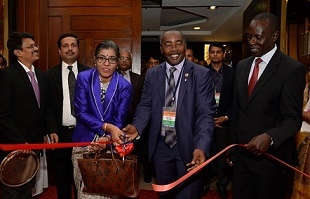 Its President, Ambi Karu, said the textile sector has been performing dismally for many years, attributing it to the difficulty in sourcing foreign exchange at affordable rate to enable investors import machines and other equipment for operation. He said: “More than 200 textile firms have been shut as a result of systemic challenges, while some have reduced their production, staff strength and remuneration of workers. “In fact, more than half of the surviving firms are classified as ailing, thus posing serious threat to the survival of the manufacturing sector. Without much discussion on this, you can see that the major challenge facing the sector is the inability of manufacturers to access foreign exchange as a result of its exorbitant rate coupled with its acute scarcity, which has been restricting the ability of manufacturers to import raw materials for production, as well as import necessary machines and spare parts.” Kanu said inadequate infrastructure, especially power, has resulted to the closing of many textile firms since they could not operate at high cost of production and remain in business. On the influx of textile materials the union chief said there was nothing stoping the government from putting a legislation in place to support the industry. He said there should be a policy to ban cheap textile materials imports, saying the borders should be patrolled by Customs officials to prevent smuggling. “The Nigeria Customs Service should be patriotic enough and eschew the act of conniving with smugglers to ruin the industry by allowing smuggled materials into the market,” he said. He pointed out that the ban foreign materials import would protect indigenous firms, which would in turn, strive to produce textiles of international standard. He urged the government to encourage made-in-Nigeria products, adding that this would boost the sector. He said: “You will recall that the “Made-in-Nigeria policy as applied to the auto industry was an aspect of the National Automotive Industry Plan. “That plan received broad-based acceptability by stakeholders, including the auto-producers. As good as that plan may be, it was not implemented to its letter and spirit. In our sector, it is not going to be the same given the fact that the cost of buying textile materials is never the same as that of buying automobiles. And don’t forget that our local textile manufacturers are really competing with their foreign counterparts.” Karu said there was the need for the government to formulate policies that would guarantee continuous survival of the textile industry in the country and ensure the effective implementation of the policies through the declaration of a “National Dressing Day” in local fabrics. “The implementation would boost the textile industry through influencing Nigerians to wear and decorate African fabrics. Apart from a special day, Nigerians should be encouraged to be adorning locally made textile such as Ankara to work during the week days; not only on Fridays, and weekends.” He said there was nothing wrong for the government to give the local textile firms a 90 per cent rebate on cost of generated power. He said this was necessary because between 30 per cent and 35 per cent of textile and garment manufacturing costs were energy-related. “In fact, the government should even consider giving the textile plants zero percent CBN interest loan to build embedded power plants or pipelines to get gas to their factories,” he said. ISLAMABAD: The division subsequently prepared a presentation and submitted it to the cabinet division as per the directives from the PM office and would be presented to the PM subject to his availability. Textile division identified three pressing export impediments, including pending liabilities of Rs 115 billion with the Federal Board of Revenue (FBR), cost/ease of doing business and the levy of custom duty on import of cotton for failing to achieve targets. The PM had directed the textile division to make a presentation covering tangible achievements, the reason(s) why the division has not been able to achieve its full potential, specific impediments in terms of man power policies, laws, rules, organizational structure, linkages, proposals to overcome the identified impediments and any pressing issues. According to the presentation a copy of which is available with Business Recorder textile sector total liabilities with FBR are around Rs 115 billion including Rs 45 billion sales tax, Rs 9.22 billion custom duty drawback, Rs 25 billion PM package, Rs 32 billion to implement textile policy 2009-14 and Rs 3 billion textile policy 2014-19. Textile division has proposed the payment of pending liabilities, incentivizing investment in machinery for export led industry, export diversification, import substitution, special rates for SMEs specially for ginning, power loom, garment stitching and facilitation for international business linkages and JVs. Textile division has further proposed reduction in the cost of doing business across the textile value chain, i.e, electricity and gas prices. It has been proposed that tariff rationalization surcharge currently at Rs 3.10/KwH and financial surcharge at Rs. 0.48/KwH may be withdrawn. According to the presentation RLNG depends on international prices and are currently at Rs 1,600 mmbtu while the system gas, available in Sindh and KPK, is at Rs. 488/mmbtu - Rs. 600/mmbtu. Disparity in gas price vis-à-vis system gas and RLNG has also emerged as a major issue. The division has further proposed that ease of doing business may be promoted through one window facilitation and exchange rate. The division has also proposed tariff rationalization of textiles value chain, international branding i.e. branding strategy and establishment of brand development scheme. Further e-commerce may be promoted through virtual trade fairs, business match making, E-product filing, online business analyses and digital marketing. Textile division has also proposed introduction of latest seed technology, improving cotton staple length, up-gradation of ginning machinery, cotton standardization, introduction of hedge trading, research and development grant fund for new and existing markets, introduction of new fibers, new products and new blends. Textile division has also proposed compliance fund, especially for environment and social, SMEs package which may include launching pad for SMEs in international markets, simplification of temporary importation schemes and simplification and achieving single window facilitation for regulatory organization. Textile division enlisted several reasons for not achieving the targets which include lack of skills development, infrastructure, product and market diversification, compliance, cotton standards, cluster development, cost of doing business & ease of doing business, combined effluent treatment plant, revitalization of textile and garment cities, unnecessary import of textile goods, increase in cotton yield and production of long staple cotton, SME development, pending liabilities, tariff rationalization and regulatory regime. The H&M Foundation and The Hong Kong Research Institute of Textiles and Apparel (HKRITA) have announced the opening of two textile recycling facilities which will put HKRITA’s hydrothermal method for recycling cotton and polyester blends to use. Blends are the most used type of textile in the world -- yet, they are still unrecyclable. “This is a significant step towards a new fashion industry that operates within the planetary boundaries”, said Erik Bang, Innovation Lead at H&M Foundation, in a statement. “As we scale up and make this technology freely available to the industry, we will reduce the dependence on limited natural resources to dress a growing global population”. H&M and HKRITA added that the purpose of the facilities is to invite fashion companies and their stakeholders to see, test and implement the technology. “HKRITA will license the results widely to make it available to all and enable a bigger impact”, read the joint statement. The facilities will also feature a miniaturized garment-to-garment recycling system which will be open to the public. At the end of the visit, shoppers will be able to buy the recycled garments. “Seeing is believing, and when customers see with their own eyes what a valuable resource garments at the end of life can be, they can also believe and recycling”, pondered Bang. The facilities will be located at the Novetex Factory in Tai Po Industrial Estate, Hong Kong. The opening date has not been disclosed. The H&M Foundation is set to invest 5.8 million euro (approximately 7 million US dollars) in the project, over the next four years. HKRITA and the H&M Foundation have been partners since 2016. H&M intends to spend a total of 30 million euros in joint textile recycling projects between 2016 and 2020.
INTERNATIONAL - The benchmark price of wool in South Africa, the world’s second-biggest producer of the variety used for clothes, climbed to a record high as the rand weakened and demand increased. The Cape Wools Merino Indicator climbed 6.6 percent to 253.82 rand ($16.45) a kilogram (2.2 pounds) at the sale in the southeastern city of Port Elizabeth, Cape Wools SA said in an emailed statement Wednesday. “The wool market delivered excellent returns primarily due to the weakening rand and was supported by the continued excellent demand for good-quality long and fine merino wool,” the industry body said. “Prices increased across the board, with the fine to coarser ends benefiting. Buyers paid record-level prices for a third consecutive auction.” The rand weakened to a more than two-year low against the dollar Wednesday after a Tuesday report showed output in Africa’s most-industrialized economy contracted for a second straight quarter to slide into the second recession in almost a decade and as emerging-market assets are under pressure from a stronger U.S. currency. After peaking at 148 million kilograms in 1966, southern African wool production has declined to about a third of that annually as the popularity of cheaper synthetic fibers climbed and as Australia, which supplies more than three-quarters of the fiber used in clothing, sold off stockpiles. The country has about 15 million merino sheep, with Cape Wools estimating there are as many as 9,000 commercial producers and 50,000 small-scale farmers. About 35 percent of production comes from the impoverished Eastern Cape province. 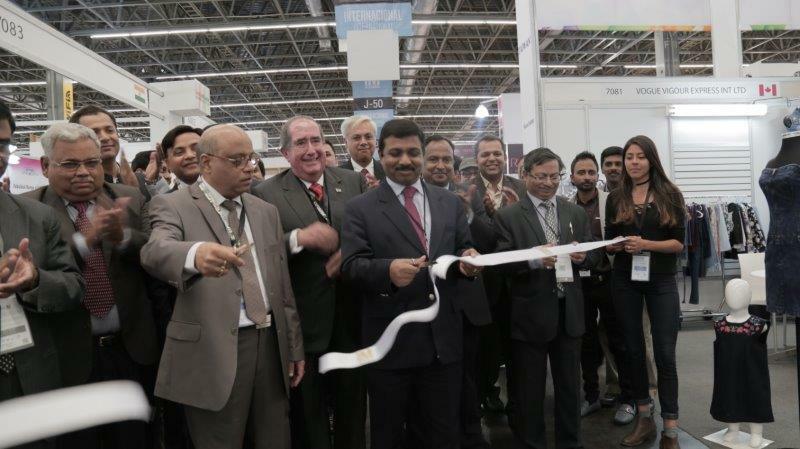 The 2020 edition of ITM International Textile Machinery Exhibitions, which brings together the leading brands of the world textile industry, is attracting global textile technology leaders and companies as to be a part of the show. The textile machinery expo will be held at the Tuyap fair and congress centre, in Istanbul, Turkey, from June 2-6, 2018. 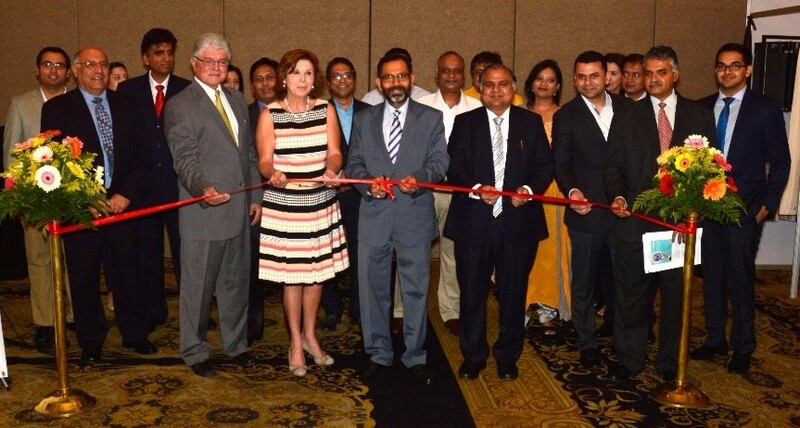 Being the meeting point for leading textile technology brands for their global launches, the ITM 2018 has gotten full marks from participants. Hundreds of company representatives in post-event evaluations pointed out the importance of the exhibition for the global textile industry by stating that, thanks to ITM, they have been able to meet with their customers whom they could not meet due to visa problems. Following the success of the ITM 2018, with both domestic and foreign companies having realised sales worth of millions of euros, and many business agreements signed, applications to participate in the ITM 2020 has increased. Companies that have completed their applications on the first day started counting days to experience the stir of ITM 2020 in Istanbul. The number of booths rented and the expansion booth sizes by companies are precursors of new records to be broken by the ITM 2020 in terms of number of visitors and participants, according to a press release. 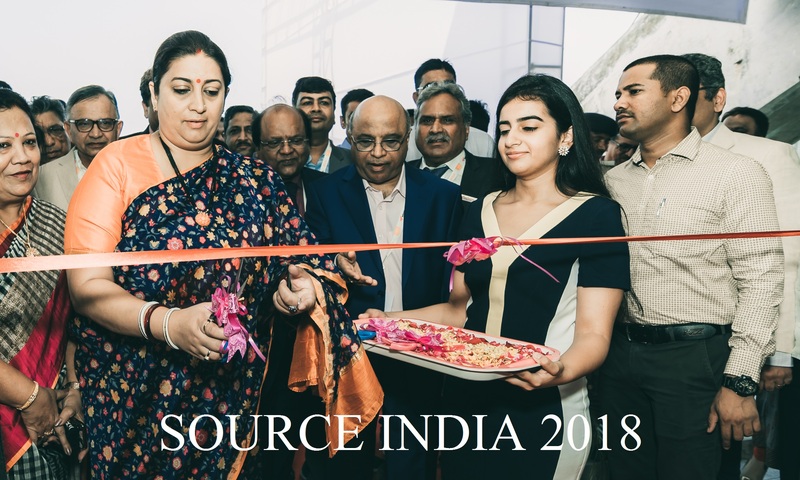 In the surveys conducted during the ITM 2018 exhibition, participants and visitors had stated that the duration of the event did not suffice for such a large organisation. With the increase in number of exhibitors, diversity, booth sizes, and the number of machines displayed by the companies resulted in investors and delegations pointing out that the duration needed to be extended for them to visit the exhibition fully and finalise their agreements. Upon heavy demands on this issue, the ITM 2020 exhibition has been extended to five days. On the other hand, the Hightex international technical textiles and nonwovens exhibition will be held concurrently with ITM 2020. The ITM exhibitions are attracting visitors as it is taking place in Istanbul, the heart of world trade, convenience of transportation and accommodation, Turkey’s having common cultural values with the new textile investors from the Middle East and the Far East countries, the absence of visa issues. The positive feedbacks from the companies and the sales success of the companies indicate that the ITM events, acting as a bridge between the Eastern and the Western textile worlds, will continue to be the meeting point for the world textile industry in 2020 as it has been in the past.